Interval timer photography would end after 1800 shots. The camera would sometimes stop responding to controls other than the power switch when movies were filmed in Moon mode. Featuring a DIGIC 8 Image Processor, dual-sensing image stabilization, automatic image transfer, feature assistant and a 3.0-inch LCD screen that rotates 180 degrees, the PowerShot SX740 HS helps make transitioning away from smartphone photography fun and easy. With high-speed continuous shooting up to 7.4fps, an ergonomic design and built-in Wi-Fi** and Bluetooth*** technology, you can easily capture life’s greatest moments with the PowerShot SX740 HS. The PowerShot SX740 HS will be available for purchase in late August for $399.99. B&H has the Canon PowerShot SX740 HS available for preorder. Pictured above is my wife, Alexis, and as you can probably tell – in mid-September, assuming no unforeseen calamity arises – our life is going to change in a very dramatic way. We're expecting a girl. Our preparations for the new arrival have been going on for months. A crib has replaced the bed in the second bedroom, new curtains adorn the windows and a matching rug ties it all together. And all those things would all look great if it weren't for the tons of boxes filling the room containing car seats, tiny clothes, baby wipes, diapers, a diaper bag and all the other things seemingly necessary for a child to survive infancy. Of course, we're very fortunate to be experiencing a clutter problem. Those boxes will help us through the challenging months ahead. 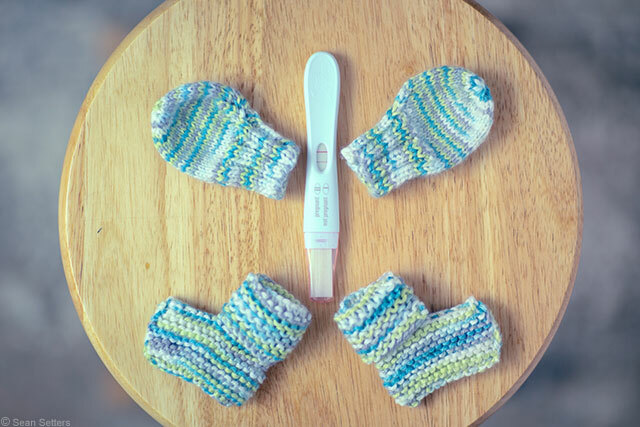 Even before my wife and I were actually expecting a child, we had started preparing in our own ways. For Alexis, that meant hand knitting baby accessories that would someday keep miniature hands and feet warm. Those handmade accessories came in handy for notifying close friends and family of the expected arrival. As for me, I started preparing by purchasing used baby photography props from local photographers and stacking them in a pile in the corner of my studio. But that pile of baskets, ribbons, fuzzy blankets and knitted hats got me thinking – the images that I will look back on most fondly, the images that will be most dear to me, I haven't even taken yet. Bryan's been hammering this point home in many of his portrait lens reviews and in the captions of many of the pictures that he posts to the site; the most important pictures you will ever take will be of the ones you love. Birthday parties, sporting events, vacations, family get-togethers, graduations, and many more events are all great reasons to have a camera and an appropriate lens readily available. Increasing height, missing teeth and hairdos that will be well out of style in the next decade should all be documented formally on a monthly basis. It's at this point in my life that I'm most happy to have a pretty well fleshed-out photography kit. I know that it's going to be well used over the next few years, and I look forward to looking back at the images created and wondering, "Where did the time go?" In today's episode of Ask Aputure, production sound mixer Andrew Jones walks us through four tips for getting better audio in your interviews. Use these sound hacks in your next documentary, corporate interview, or PSA to make your audio sound clearer and more crisp. These sound mixing techniques will help you take your filmmaking to the next level! 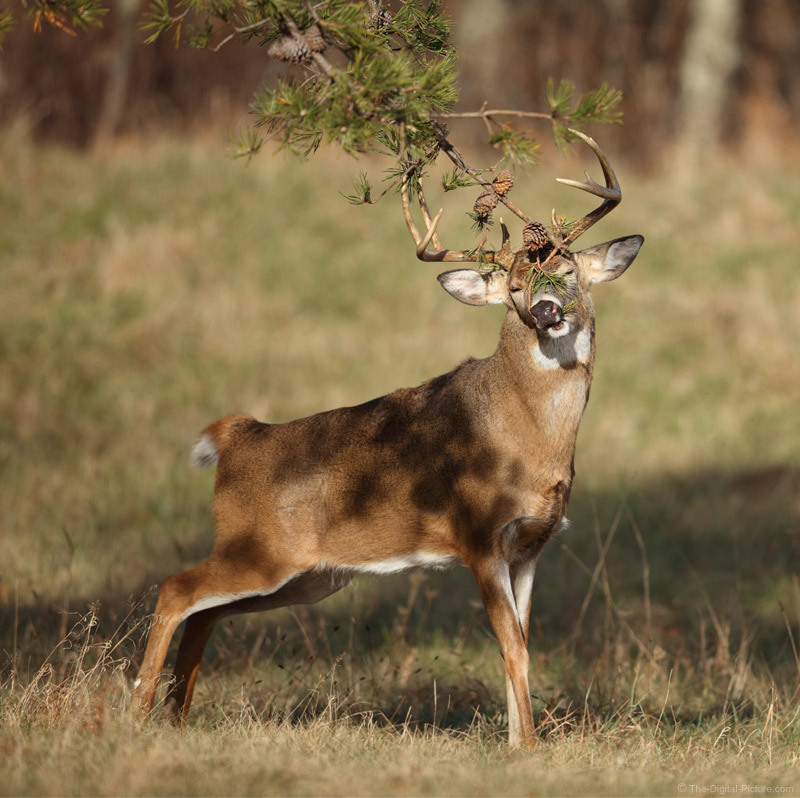 Did you ever see a whitetail buck wrap a pine branch around its face? The rut brings out the best in unusual whitetail activity. This buck is creating (or freshening) a scrape used for communication purposes at this time of the year and the location selected for a scrape typically has a scent branch just above it. Only a couple of spots remain open: join me for the "Whitetail Buck in Rut and More workshop in Shenandoah National Park! 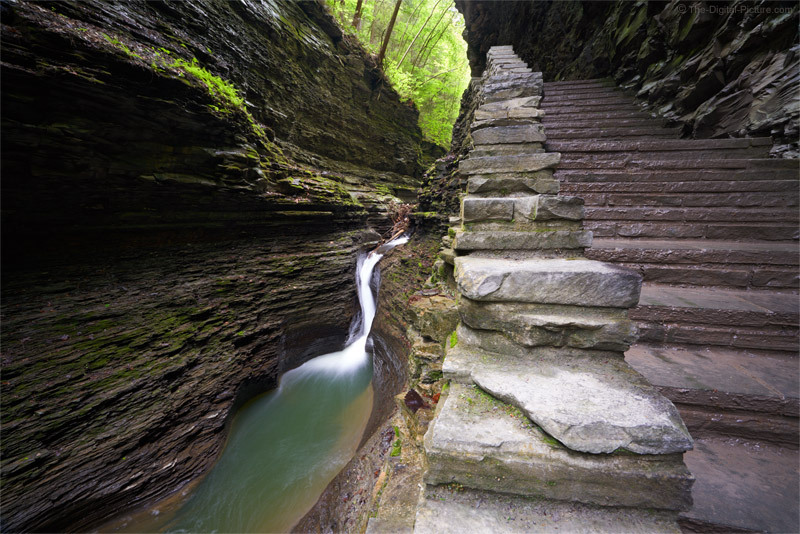 In Watkins Glen State Park, visitors are (mostly) confined to the trail which primarily consist of rock, rock steps and rock walls. I usually prefer to keep the hand of man out of my landscape photos, but that is not so easy to do at this location. That the man-made features are so interesting is part of the attraction of this park and that made it easier for me to get out of my box. While trying to figure out what to do with this scene, I used one of my frequent wide angle tips and that was to get in close to something interesting in the foreground. I didn't have to get too creative with that advice here because the only foreground I could get close to and still see the waterfall (Pluto Falls) was ... the wall. Fortunately, that worked out OK. I especially like how the man-made lines in the stone stairs and wall interact with the natural lines in the rock. The vertical lines of the water and gorge cutting through the rock intersect those horizontal lines and draw the viewer's eye into the frame. The Sony a7R III and Sony FE 16-35mm f/4 ZA OSS Lens were a very nice combination for this hike. Image quality test results have been added to the Sigma 70mm f/2.8 DG Macro Art Lens Review. The wide open results from this lens are remarkable, especially for the low price. 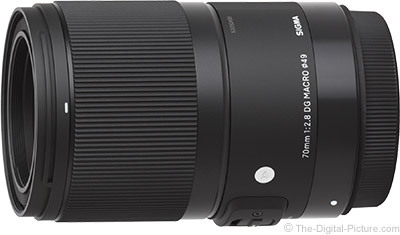 The Sigma 70mm f/2.8 DG Macro Art Lens is in stock at B&H | Amazon | Adorama | WEX. Rent the Sigma 70mm f/2.8 DG Macro Art Lens from Lensrentals. How to be a wedding photographer is one thing, but how to attract high end, luxury weddings is another. There’s a reason top brides and grooms choose certain wedding vendors and it’s really no secret! Watch this video to find out how to get high end wedding clients in your door and especially how to keep them happy (and sending all of their friends too)! 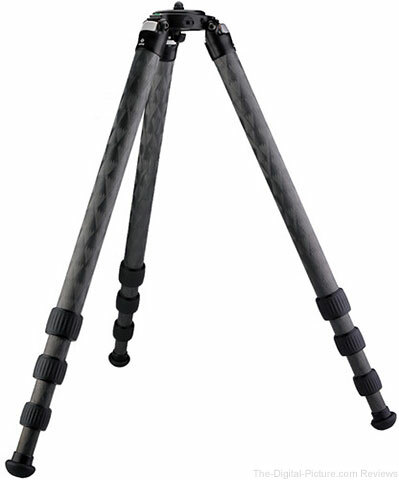 B&H has eight of the new Really Right Stuff Mark II Tripods in stock with free expedited shipping. To see what's new with the RRS Mark II Tripods, see the press release here. Just posted: Sony FE 70-200mm f/4 G OSS Lens Review. 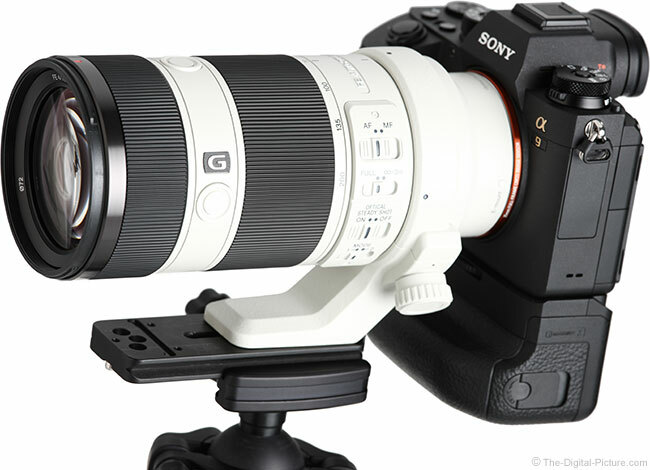 Need a high quality, relatively light weight telephoto zoom for your Sony kit? This lens is a great choice. The Sony FE 70-200mm f/4 G OSS Lens is in stock at B&H | Amazon | Adorama | WEX. Rent the Sony FE 70-200mm f/4 G OSS Lens from Lensrentals. This image of Alfred Hitchcock taken in 1973 was a turning point in his Albert Watson’s career. In fact, Albert believes “It is the most important shot I ever did because it was a confidence builder.” Read the story here. In Ep125, David Bergman shows you why sometimes it's better to turn off the motor drive and shoot single frames to capture peak sports action.